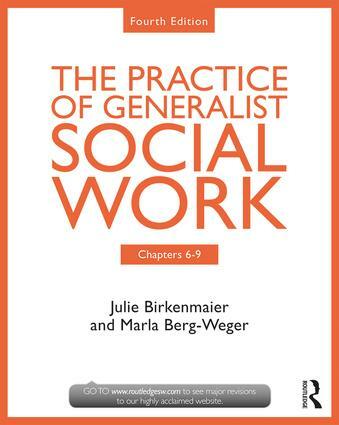 The fourth edition of　The Practice of Generalist Social Work　continues to teach students to apply micro, macro, and mezzo social work skills. This new edition strengthens the connection between the three levels of practice and is fully updated to the 2015 EPAS. This edition also contains more illustrations of theory and more context for deciding which type of intervention is a good fit. Most chapters now open with a case study and continually refer back to the case to provide additional connections between theory and real-life practice. Each chapter also incorporates a link to a Grand Challenge of Social Work from the American Academy of Social Work and Social Welfare, which shows the connection between social work and the most significant societal challenges of today. The Quick Guides within the text offer students guidance for their field experience and practice after graduation. The text also comes with a rich companion website that includes support materials and six unique cases that encourage students to learn by doing. Go to　www.routledgesw.com to explore the cases and additional resources.